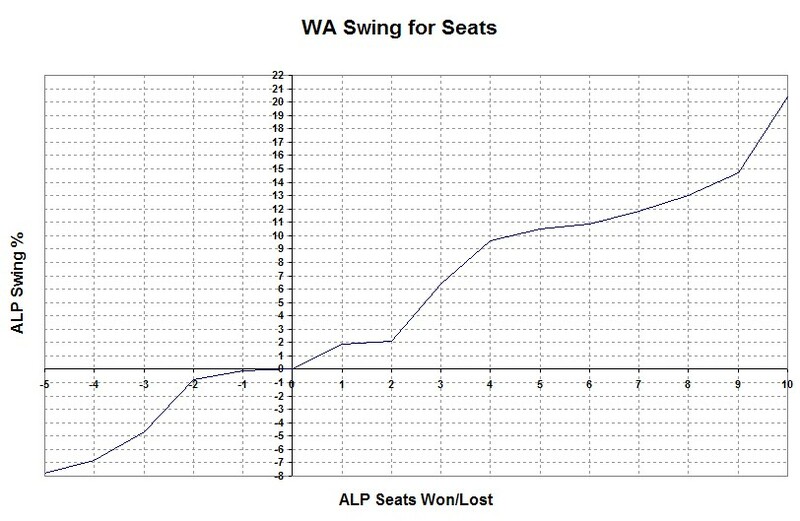 I’ve broken the Mackerras Pendulum down into national and state based swing graphs.The way to read them is like before, choose a swing on the vertical axis, trace it across until it hits the swing line, and then trace down to the horizontal axis to find the seats that the ALP would win or lose given that swing. These are thumbnails so just click on them to blow them up to full size. For the remaining 9 seats in Tassie, NT and the ACT, I’ll give them as a table. 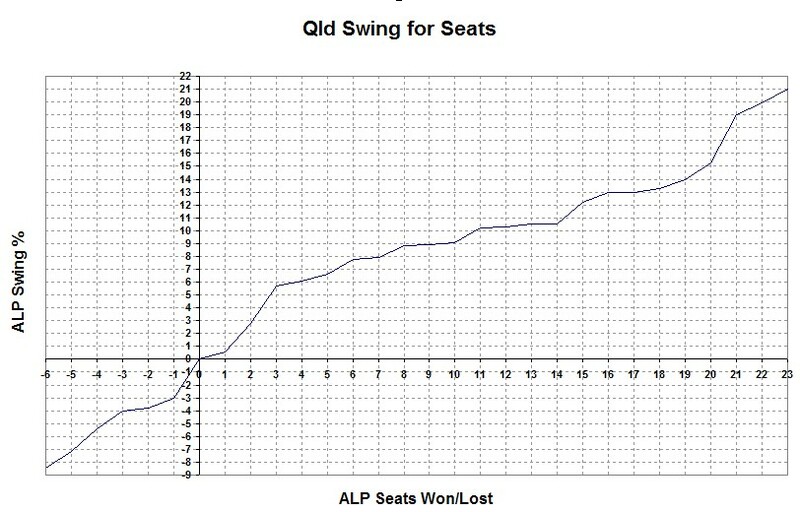 It shows the seat, the party that currently holds it, the State/Territory the seat is in and the swing needed for the ALP to win or lose it e.g a positive number represents the swing toward they ALP they need to take the seat, a negative number represents the swing away from the ALP they need to lose the seat. 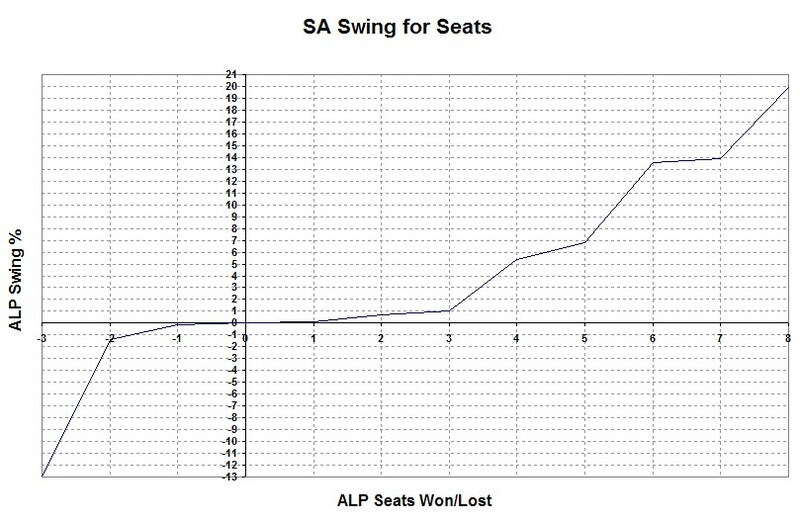 The outstanding Simon Jackman has up a lovely graph with state by state swings and the seats involved.And it looks good too!